The angle of elevation of the top of a tower from a point on the same level as the foot of the tower is 30 degree. 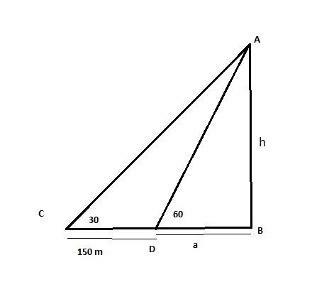 On advancing 150m towards the foot of the tower, the angle of elevation becomes 60 degree. Find the height of the tower. Therefore the height of the tower is 129.9 m.